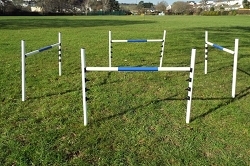 Our maintenance free dog agility jumps are ideal for using in the garden, at the park or in competitions. 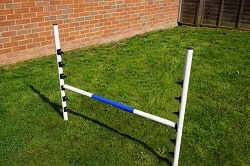 All of our jumps are made here in the UK, with high quality materials, are long lasting and will not rust. 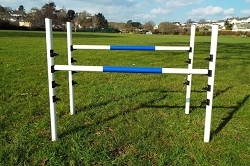 They are available in a range of colours and are easily stored. 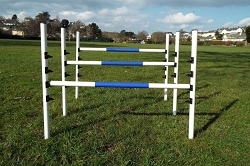 Choose from 2, 3 or 4 jump sets or sets of dog jumps and agility weaves. If you would like to order jumps or weaves in bulk, please call us on 07888 837 220 to discuss your requirements. We can still take your order and payment by telephone if you prefer - call us now on 07888 837 220. To find a specific product please select its category or use the search box (at top).